Hinoki is a type of Japanese cypress known for its beauty and delicate, natural fragrance. 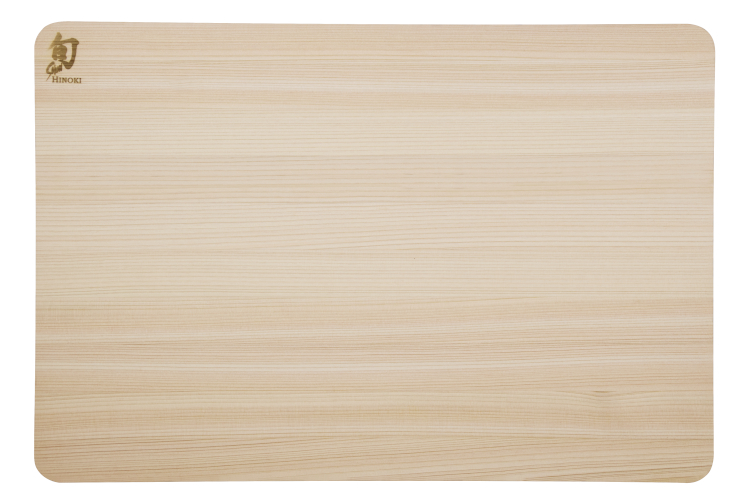 Ideal for use in a cutting board, this medium-soft wood "gives" as you cut, helping to preserve the edges of your fine cutlery. Hinoki is the perfect cutting surface for all your fine Shun knives. The large 12" x 18" surface offers enough space for all general-purpose cooking tasks. The wood for the hinoki boards is grown in Japan and is certified by the Forest Stewardship Council for sustainable forest management practices. Length and width: 17.75" x 11.75"